2Wheel Chick: What size bike should I choose? What size bike should I choose? Following on from my review of various bikes before Christmas, I thought I would post something about bike size and fitting. When I was buying my first bike I found it a little tricky to know what size to get, or what I should be measuring in order to know what size bike to choose. Nowadays experienced bike riders and racers know exactly what feels like a correct fit. Furthermore, they would be used to attending bike fittings with any one of a number of providers who use various methods for finding your exact measurements. But what about those people who just want to know their bike size, but don't necessarily have £100 or more to attend a bike fitting session? 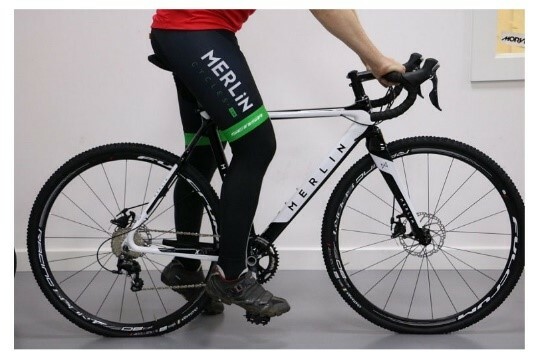 Merlin Cycles, an online cycle shop based in Lancashire produced their "ultimate guide to getting the right sized road bike." It's got a lot of useful information in there, but this is more like a starter for 10 for those who don't know anything about bike sizing and are looking for their first bike. For those who have already been down this route before, it'll be all very familiar and you are probably on the next step to getting yourself kitted out by Cyclefit, or the services provided by Trek and Specialized. In any case, here is the guide, which gives some handy tips. For information, I have included a diagram of a bike with the key bike parts shown. An ill-fitting bike can not only negatively affect your comfort during a ride, it can reduce your efficiency and put you at risk of developing an injury. Buying a bike is a bit like buying a suit, if you have any doubt with regards to sizing, it is wise to physically try sitting on/riding the bike first. If you know your inside leg measurement, this can be a good indicator of how high you need the top tube to be. This can have a major bearing on your overall comfort levels and your performance. 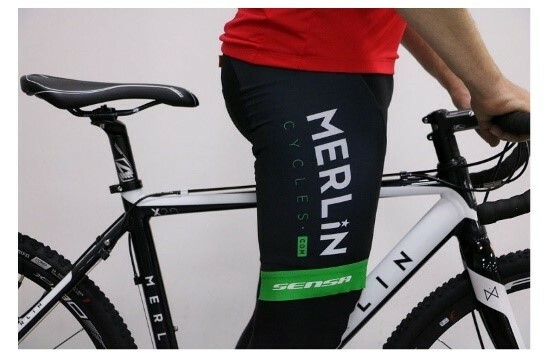 For the optimum size, there should be a few inches between your crotch and the top tube when you are standing bare foot with your legs straight and feet slightly apart. If you have too much of a gap, the bike is too small, if you have no room to manoeuvre, it’s too big. An adult cyclist should be able to touch the floor with their tip-toes while sat in the saddle. If you can’t reach the floor, your saddle is too high; if you can put the entire base of your foot on the ground, you’re too low. 1) Sit in the saddle and put the ball of your foot on the pedal. Have a slight bend in the leg and let the leg hang naturally. Your leg should not be perfectly straight. 2) You should find that there are a few inches difference between the saddle height and the size of your frame, and you will have seat post showing. Compact frames are smaller so more seat post will be showing and vice versa with traditional horizontal geometry frames. 3) Make sure the saddle is level and not sloping forwards or backwards. This can be extremely uncomfortable (especially when cycling longer distances). 4) Tweak the position of the saddle in the rails, moving it fore and aft until you’ve got it exactly how you want it. Imagine a plumb line running straight down from the centre of the knee cap through the ball of the foot (which is over the pedal axle) in the 3 O’clock position. If you’re too far forward or back, it will not only be uncomfortable but you’ll also impact on your pedalling efficiency. Known as the ‘reach’, the distance between the saddle and handlebars depends on your own measurements and the length of your torso and arms. When determining your road bike sizing, understanding your reach distance is vital. You can determine reach by sitting in the saddle in a normal riding position and placing your hands on the tops of the handlebars. If you look down the bars, the front axle should be hidden. If the axle is in front of the bars, however, then the reach is too short. If the axle is behind, the reach is too long. What is stack height and how do I measure it? Stack height is the space between the bottom of the lower headset cup and the top of the upper headset cup. This is the part of the frame that the top of the fork goes into. The stack height of the bike depends largely upon the kind of bike it is. For example, sportive bikes tend to have a bigger stack height, while race bikes will usually have a shorter stack height for a lower front end. Bikes with slightly longer reach and a lower stack height are generally more aggressive bikes, riding harder and with more of an elongated, ‘stretched out’ geometry. Wider tyres provide more comfort as the volume of air in each tyre is larger. Tyre manufacturers now make lighter, faster tyres that are wider, to meet the needs of today’s riders and bikes. Several wheel manufacturers make wider 23mm or 25mm wide rims; these offer a high level of strength, performance and comfort when matched with wider 23mm/25mm tyres. Most road bikes will have enough clearance to fit 25mm-wide tyres, which can offer a good amount of comfort for the rider. Newer disc-brake road/gravel/cyclocross bikes often have enough clearance for 35mm/38mm off-road tyres to cope with more challenging surfaces such as mud and gravel. Our dear anti-cycling Minister for Transport! Wanna do the Rapha Festive 500? Postcards from the Festive 500 Edge!